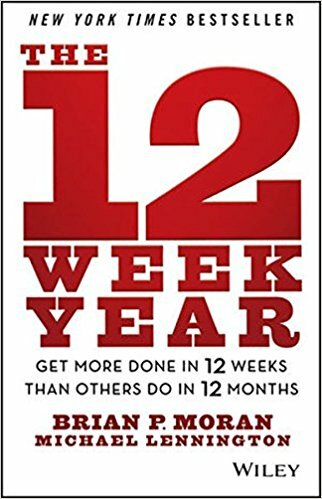 12 Week Year je kniha o organizování a plánování, ať už jde o pracovní nebo osobní úkoly. Jak už název napovídá, hlavní premisa knihy povídá o tom, že roční plánování je dost neefektivní a jen málokdy jím dosáhneme požadovaných výsledků. 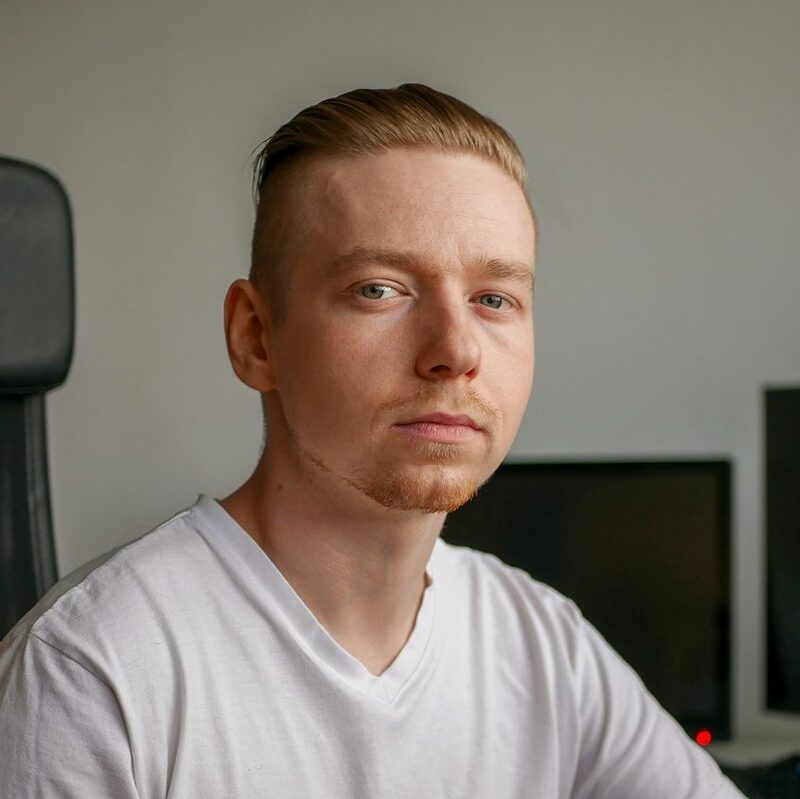 Místo toho je lepší si rok rozkouskovat na čtvrtletí, neboli 12 týdnů. To je totiž dostatečně krátká doba, abychom měli zadané cíle pořád před očima, a zároveň dostatečný prostor pro to s nimi výrazně pohnout. Ta první vysvětluje, proč je třeba plánovat. Pokud jste ale už něco málo přečetli, nenabídne vám žádný nový pohled na věc a spíše opakuje to, co už jste slyšeli jinde. Druhá polovina je už zajímavější, jelikož přímo popisuje, jak byste tedy měli plánovat v rámci tří měsíců. Vysvětluje nutnost vize, měřitelných cílů a týdenních taktik, které vám dopomohou ke splnění svých cílů. Kniha je to krátká, má jen 209 stránek, ale v určitých pasážích se mi nečetla úplně rychle. Někdy se tu objevovaly opakující pasáže a moc se mi nelíbilo, že je to jeden z prvků v sales funnelu pro prodej koučování. Na druhou stranu mi 12 Week Year zlepšil představu o tom, jak vlastně plánovat. Díky praktické části jsem získal základní strukturu, kterou sice celou nevyužiju, ale alespoň mám na čem stavět. Your current actions are creating your future. If you want to know what your future holds, look to your actions; they are the best predictor of your future. You want to predict your future health, look at your current eating and exercise habits. You want to predict the health of your marriage, look at your interactions with your spouse. You want to predict your career path and future income, look at the actions you take each business day. Your actions tell the story. Even in an environment where there are requirements of you, you still have choice, but there is a big difference when you approach something as a choose-to versus a have-to. When something is a have-to it’s a burden, it’s cumbersome, and, at best, you meet the minimum standards; however, the realization that you ultimately have choice creates a very different scenario. When you choose to do something, you are able to tap your resources and give your best. It is a much more empowering stance. Ultimately, you choose your actions, your results, your consequences. When you understand that true accountability is about choice and taking ownership of your choices, everything changes. You move from resistance to empowerment, from limits to possibilities, and from mediocrity to greatness. At the end of the day, the only accountability that truly exists is self-accountability. The only person who can hold you accountable for anything is you, and to be successful you must develop the mental honesty and courage to own your thinking, actions, and results. Act on commitments, not feelings: … We’ve all been there. Getting out of bed at 5:30 a.m. to jog in the winter cold can be daunting, especially when you’re in a toasty warm bed. It is during these times that you will need to learn to act on your commitments instead of your feelings. If you don’t, you will never build any momentum and will get stuck continually restarting or, as is so often the case, giving up. Learning to do the things you need to do, regardless of how you feel, is a core discipline for success. Results are not the attainment of greatness, but simply confirmation of it. You become great long before the results show it. It happens in an instant, the moment you choose to do the things you need to do to be great. If taken literally, the phrase life balance is something of a misnomer. It is natural to think that the goal of life balance is to spend equal time and energy in the various areas of your life, but in reality, that is not practical and it would not necessarily create the life you desire. Trying to spend equal time in each area is unproductive and often frustrating. Life balance is not about equal time in each area; life balance is more about intentional imbalance. Life balance is achieved when you are purposeful about how and where you spend your time, energy, and effort. At different times in your life you will choose to focus on one area over another, and that’s perfectly fine, provided it’s intentional. Life has different seasons, each with its own set of challenges and blessings. Accountability is ultimately ownership. It is a character trait, a life stance, a willingness to own actions and results, regardless of the circumstances. Commitment and accountability go hand-in-glove. In a sense, commitment is accountability projected into the future. It is ownership of a future action or result. The lag indicators are the end results, and your 12 week goals are the ultimate lagging indicators. If you are tracking progress towards your goals, then you are tracking lag indicators. Lead indicators are the things that happen early in the execution process. They are the things that drive the lags. Most people are pretty good at tracking the lag indicators, but the opportunity for growth is usually the greatest with the lead indicators. What are the lead indicators for your goals? Let’s say that you want to lose 10 pounds. The total weight goal of 10 pounds is a lag indicator because it happens at the end of the 12 weeks. A good lead measure might be the number of calories that you eat daily or weekly. Another might be the number of workouts you have each week, such as miles jogged, laps swum, minutes on the elliptical—you get the idea. In general, the more frequent a measure is, the more useful it is.